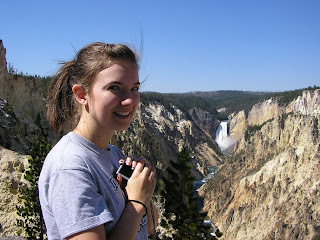 Here I am at the Grand Canyon on Yellowstone, looking at the waterfall. It was GORGEOUS. 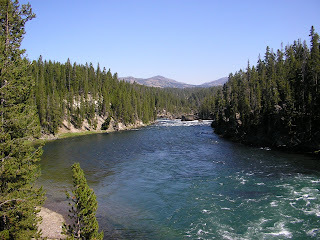 Then we got to South Dakota. We went to Sturgis and Deadwood. Sturgis is where there is the annual biker gathering. So there were motorcycles and biker bars EVERYWHERE. 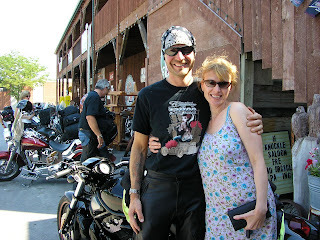 My mom found a cute biker to get a picture with!!! Haha. Deadwood is an old, little Western town. It was so cute. It was where Wild Bill and Calamity Jane lived. My mom really loved it and wants to live there now. 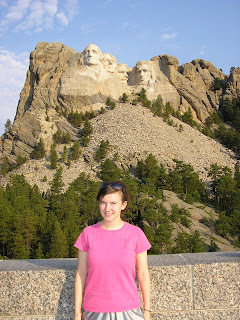 The next day we drove through the Black Hills, the Badlands, Mount Rushmore, and Crazy Horse. It was SO COOL. I love western South Dakota. The Black Hills were gorgeous and I really liked Mount Rushmore...while we were there wild sheep kept running by us...it was pretty entertaining. What a spunky mom you have! 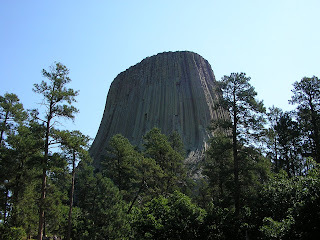 And yes, Close Encounters is quite the show!